PJ Media senior editor Tyler O’Neil joined Fox News host Tucker Carlson on Wednesday to discuss racism at the Southern Poverty Law Center. Morris Dees, the group’s co-founder, was abruptly fired last week for failing to meet “the mission of the organization and the values we hope to instill in the world,” according to a statement from SPLC President Richard Cohen to The Daily Caller News Foundation. Carlson noted Dees’ firing “under mysterious circumstances” [#MeToo rumors…] and the irony that a group that often falsely labels others as “racist, sexist bigots” would be accused of those things itself. The series, a Pulitzer Prize finalist, revealed a figure seen as heroic by some and single-minded by others. Dees’ critics said he was more concerned with fundraising than litigating. The series also alleged discriminatory treatment of black employees within the advocacy group, despite its outward efforts to improve the treatment of minorities in the country. 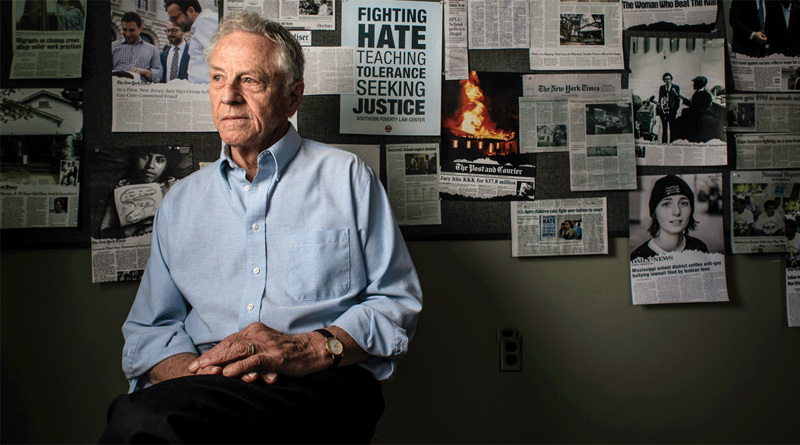 Staffers at the time “accused Morris Dees, the center’s driving force, of being a racist and black employees have ‘felt threatened and banded together.’” The organization denied the accusations raised in the series. The PJ Media editor added that if the group “hires more black leaders,” since “blacks tend to be more Christian” perhaps they would stop characterizing Christian groups as anti-LGBT.